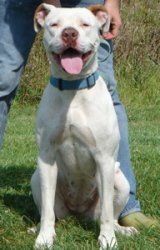 My sweet Sugar is a 2 year old full blooded red nosed pit bull. She is also my best friend. I adopted her from a local shelter and we had an instant bond that developed into an amazing friendship. 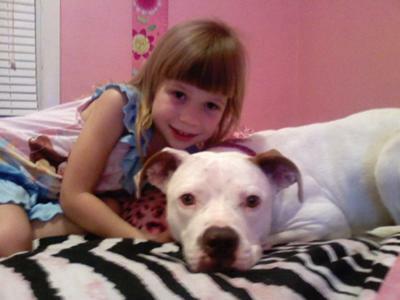 Throughout the years I've owned/fostered many dogs, including pit bulls but no other dog has come close to Sugar. She is truly one of a kind. 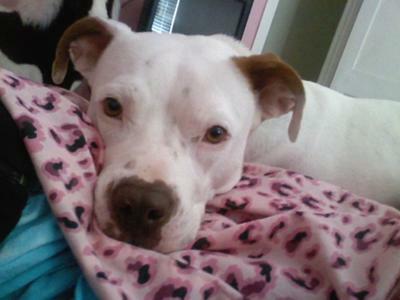 Her favorite activities are playing fetch with a tennis ball or romping with her friends at the dog park. At home, you can usually find her cuddled up with me on the couch or lazing around on the bed. Actually, I was just interrupted by her jumping onto my lap :) She is 50 pound lap dog. Beautiful! She looks like mine! She looks the same as my Zoey! 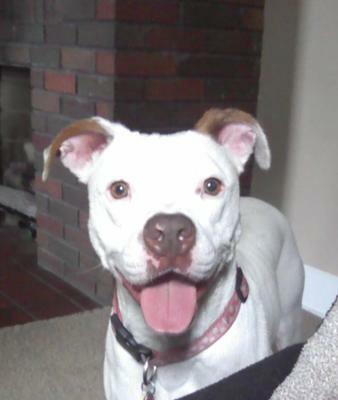 My pitbull is a female 75 pound red nose. They are the most loving dogs and I would never ever get a different breed after having this one. Nothing compares to her. They are loyal as it gets. Great with my two children. She sleeps with me also. It seems like she is attached to my side. I got her from some idiot that was fighting them well lets just say I took her when she was a puppy and then got the people busted. I feel I did the right thing. The dogs are in a better place now that the man went to jail for short period of time for the abuse of his animals. Everyone needs to get the word out about breeding is wrong with these dogs too many people are doing it for the wrong reasons.